Learning to BASE jump while learning to fly a BASE canopy at the same time is too much for many people, even if they don’t realize it. If you show up to your first BASE object (a bridge, hopefully) knowing where in the control range your parachute stalls, how to complete a rapid 180 degree turn using risers or brakes, and how to stomp the spot after a steep or flat approach, you’ll be way ahead of the game. Throw some packing skills on top of all that and you’re going to get much more out of your first few jumps, when many new jumpers are fumbling through their packing and landing in the bushes. How do you do this? 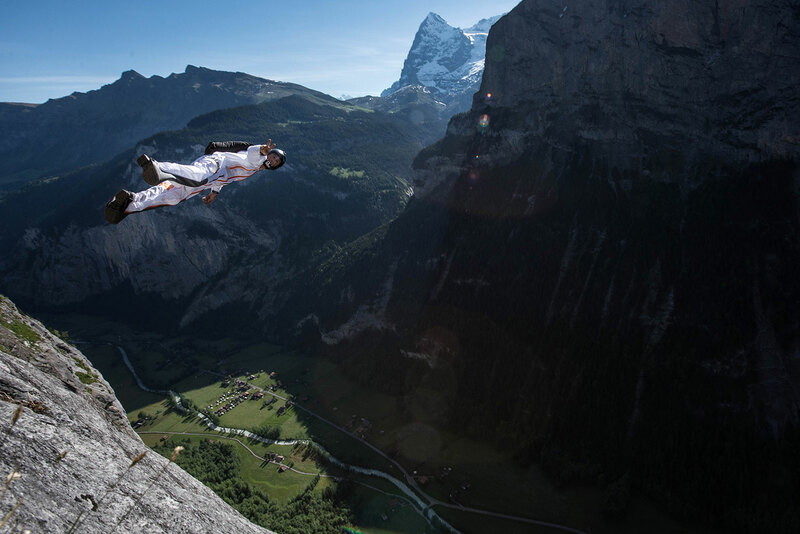 Take a course that is designed to prepare you for your first BASE jumps. When it comes to Pre-BASE education, one course is unique in the world: the Next Level Elevated BASE Skills Course. It teaches you everything that we covered in Part 1 of this article, and much more. It encompasses not only all of those canopy skills & drills, but also water hazards (including actually experiencing line-entanglements in a pool), rigging, configuring your gear for different delays, and preparing yourself mentally and physically (including some fun proprioception exercises) for fixed-object jumping. Next Level EBS courses take place at DZs around the world and give you the tools you need to get exponentially more out of your BASE FJC and early BASE progression. Even if you don’t take any sort of pre-BASE course, at least skydive your BASE canopy. Again, see part 1 for more on this. Every hop-and-pop at your home DZ will give you 10x as much airtime to learn your parachute. Take advantage of this time and altitude and get aggressive with your parachute, so you can experience the full control range. But when you’re getting advice on the DZ, keep in mind that having a few BASE jumps and really knowing how to fly a BASE canopy are two different things. When you’re considering FJCs, Do some research before you commit and ask about what is covered in the course, how long it lasts, and where it will take place. Commercial FJC, or Mentor? I strongly recommend taking the time to find the best example of both. Get a mentor, and take a good FJC. The FJC will miss things, and your mentor will miss things, and there are things you need to know that will inevitably be missing from both. Get all the help you can and try to absorb every piece of information from the experienced jumpers that you come into contact with, and then decide what works for you. Examine the motivations of any BASE instructor that hard sells you on equipment. If your instructor tells you that you must buy gear from him, or must only buy gear from one particular brand, then maybe take a step back. It is up to you to do your homework and learn what is available for equipment choices and what is appropriate for the type of jumping that interests you. BASE is about individual responsibility and deliberate, conscious decision-making. Use your self-responsibility to your own advantage, and think for yourself. For better or worse, BASE has become an industry. Even if it’s a small one, there are people who are financially invested in giving you brand-specific advice. 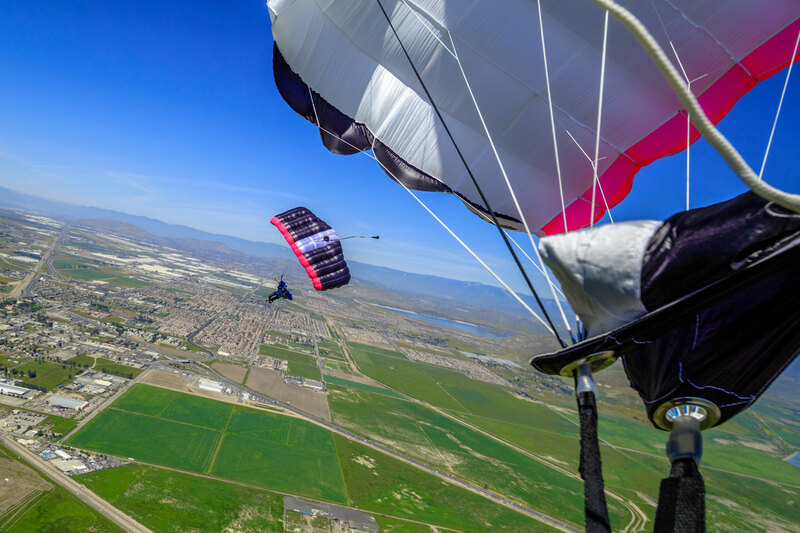 All BASE canopies are low performance (compared to typical skydiving mains) and are suitable for a skydiver with 200+ jumps. Regardless of what you buy, it’s practically guaranteed to be larger than what you’ve been skydiving, have worse handling, and less flare. It’s going to be slower, and probably have less glide and headwind penetration than the 9-cell ZP canopy you’ve been jumping. All of these characteristics will need to be adapted to, and all BASE canopies can be described by these broad generalizations regardless of how amazing the manufacturer makes them sound, or how special the features are. Certainly there are real differences between each BASE canopy, but they are all 7-cell low-porosity canopies designed to be flown at light wing loading (generally at around 0.7lbs per square foot). Buy new: If you can, avoid gear with an unknown history. 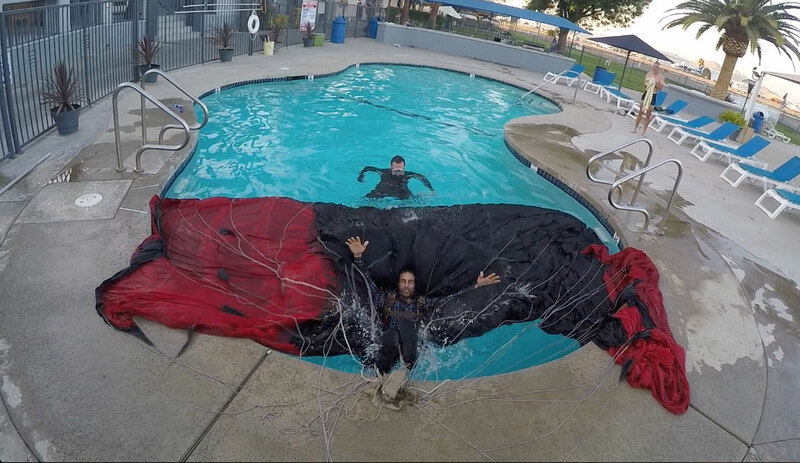 BASE parachutes need frequent re-lining and more intensive maintenance (the brake stows, for instance, endure more load, wear & tear, and are arguably more critical to your safety than a skydive parachute). It’s not that you don’t have a reserve system in BASE, it’s that you only have a reserve system. Get a good one. Seriously consider light fabric: Ultralight, low-bulk fabric (the best is, without question, Porcher Sport PN9), has now been in use in BASE for more than ten years. The science is in on this: Light parachutes have proven to deliver better opening behavior, pack easier, fit into smaller containers, and are more fun to carry on those long hikes and climbs that you will be doing. Unless you’re landing in thorny bushes and sand every single time, a light parachute is probably right for you. Read this article on Light Fabric to get more of the facts. Porosity is a critical part of ram-air canopy design and function. Increased porosity decreases glide and flare performance. The leading edge is the most critical part of the airfoil, and lower or zero porosity is an advantage here. PN9 (ultralight) fabric degrades faster (porosity increases faster over time and use) than the standard weight equivalent (PN1), making PN9 leading edges the least durable and lowest performance option. Higher porosity at the LE intakes changes opening behavior, reducing opening speed and consistency (all other factors being equal). ZP has less porosity (as in, zero) than ultralite low bulk 0-3cfm material. Talk to your friends: Find out what the people around you have been jumping, and ask them what else they have tried. Talk to the manufacturer: Gear evolves. Believe it or not, some new parachutes are better than old ones, and manufacturers can explain the progress to you. Don’t cheap out: You get what you pay for. Is saving a couple hundred bucks worth getting a parachute that won’t function as well for low freefall, or be as suitable for tracking and wingsuit use? Not in my opinion. Your friends are going to offer to bring you to a low object that you’ll want those slightly more expensive extra vents for, and on that long hike that you’re going to want a lightweight setup for. Don’t cheat yourself out of performance and comfort for the cost of a few skydives. Every major manufacturer offers a versatile lightweight parachute – get that one.